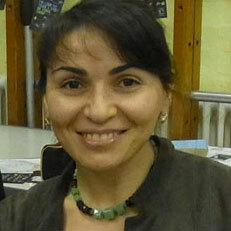 Dr Elena Mucci is a Consultant Physician and a Geriatrician at both Spire Sussex Hospital and the Conquest Hospital. She holds dual accreditation in Geriatric Medicine and General Internal Medicine on the GMC specialist register. Dr Mucci was awarded membership of the Royal College of Physicians of London in 2006 and became a Fellow of Royal College of Physicians in 2016. She is also a member of American College of Physicians and British Geriatrics Society. Dr Mucci qualified from Rostov State Medical University in Russia in 1999 and did all her postgraduate training in England. She trained as a Geriatrician at Kings College Hospital in London. In 2013 she obtained Postgraduate Diploma in Clinical Leadership and Management from Brighton University. In 2014 Dr Mucci became a Finalist in Kent Surrey Sussex Leadership Collaborative in the category "NHS Leadership Development Champion of the Year". During her training Dr Mucci was a Visiting Fellow at the Department of Geriatric Medicine at Yale University Hospitals in USA, where she received further training in Comprehensive Assessment of Older Adults. Dr Mucci is a strong believer in a whole-person holistic approach to patient's care and specialises in Comprehensive Geriatric Assessment (Comprehensive Assessment of Older Adults). By putting patients and their families in the centre of the decision making process she helps them to regain control over their lives. I just wanted to say a huge thank you for the time you spent with my Father. You were so amazing and we so appreciate the care and attention. My father was worried and you put him at ease straight away. I have worked with many doctors over the years and your kindness and expertise shone through.